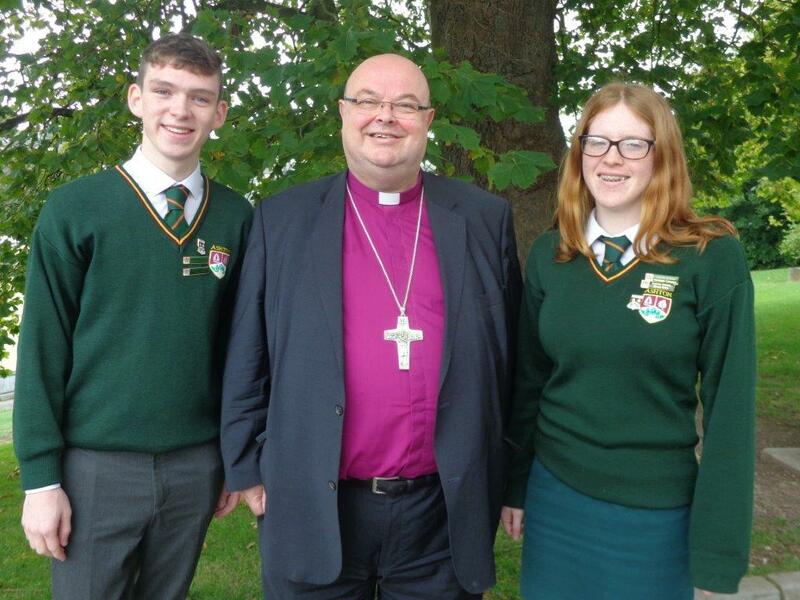 On Wednesday, 26th September, the Bishop of Cork, Dr Paul Colton, visited Ashton School Cork to speak at assembly. Beforehand the Bishop spent time in the staff room chatting with teachers. 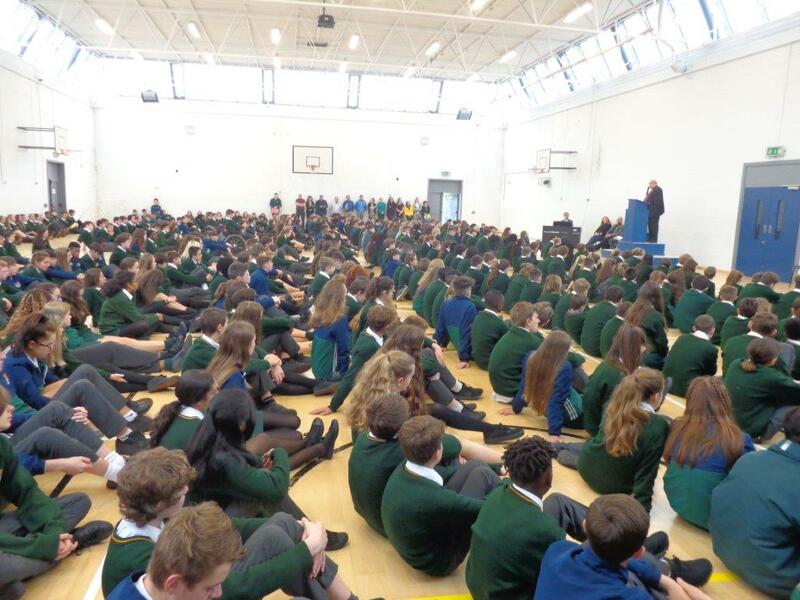 Bishop Colton speaks to the gathering of more than 500 students at Ashton School, Cork. After assembly, Bishop Colton spent time with the students and stood in for what has now become a school tradition; the photo of the senior students – head boy and head girl – with the Bishop. Ashton School in Cork is under the co-patronage of the Bishop of Cork, Cloyne and Ross, and the Cork Education and Training Board. It was the first school where a Church of Ireland Bishop entered into co-patronage with an Education and Training Board in Ireland. The traditional, annual Ashton School photo – this year, Head Boy, Mark, and Head Girl, Ellie, with the Bishop. This entry was posted in Ashton School, Bishop, Diocese, Education, Schools in the Diocese. Bookmark the permalink.